Every year I make the cranberries for Thanksgiving and I just throw them together and don’t measure but every year they turn out great. I have to make a special batch with brandy as well. I always make extra so there are some leftover and we never seem to have enough as people will take some home and I end up with enough for a day or maybe 2. I went to the supermarket after last year to stock up on cranberries to make some dishes for Christmas but there weren’t many around. This year I am ready and well stocked!! My oldest asked me the other day if I could make some before Thanksgiving so I did. 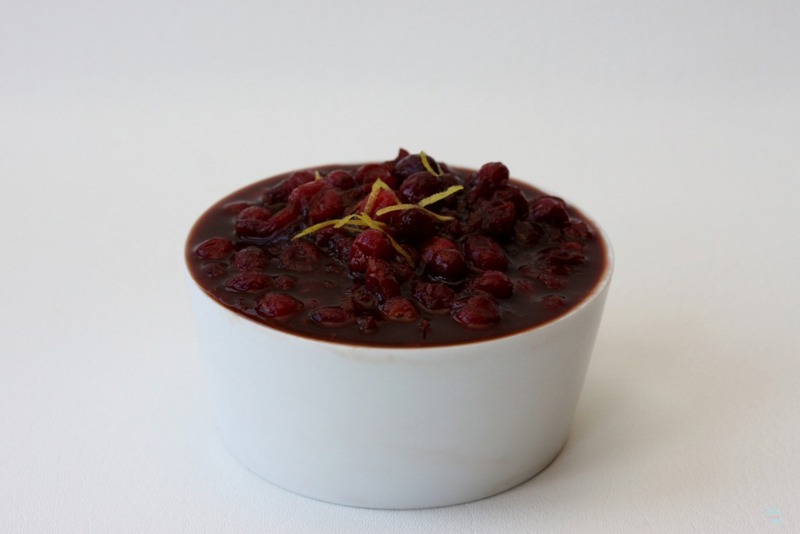 We like to put these cranberries on top of pancakes, waffles, french toast, oatmeal, yogurt… the list goes on. 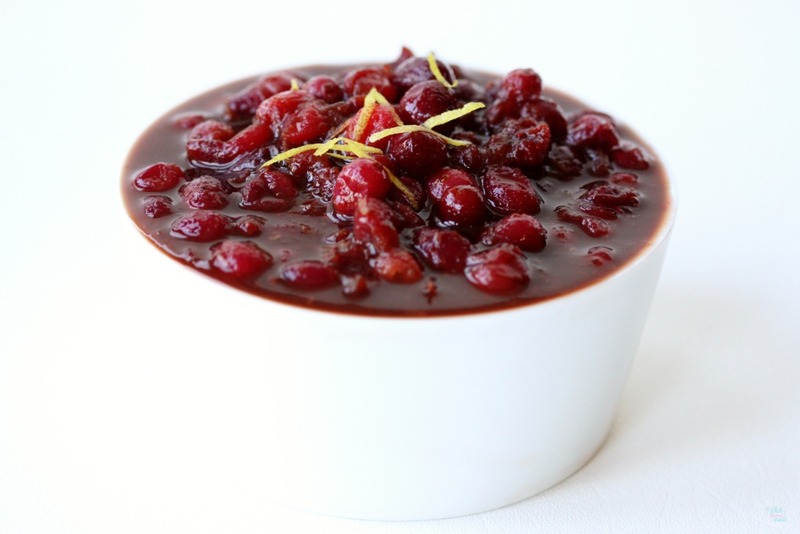 Place cranberries in a large sauce pan and grate in zest of lemon or orange. Slice lemon or orange and juice into the cranberries, I juice it over my mircoplane to catch the seeds. 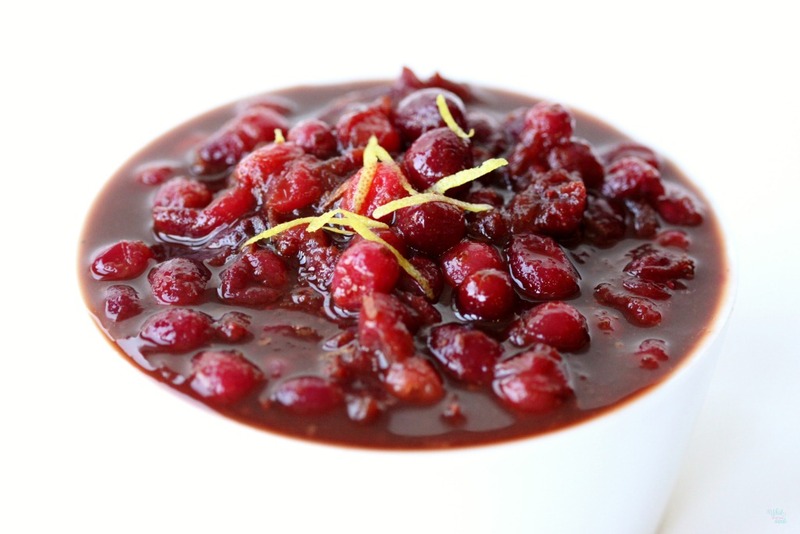 Stir sugar, water, and salt into the cranberries. Heat on medium until mixture comes to a boil. Once it starts to boil reduce to a simmer and continue to cook, stirring occasionally, for about 10-12 minutes until most of the cranberries have burst. 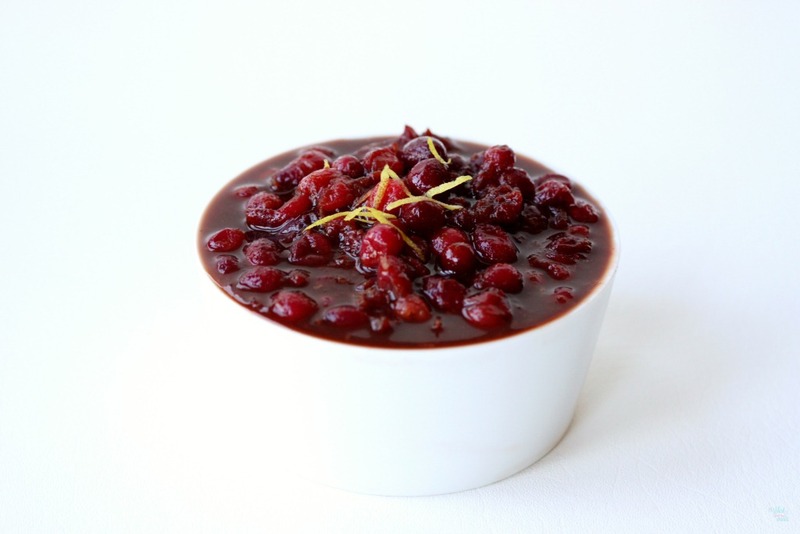 Remove from heat and bring to room temp before placing in a glass bowl and storing in the refrigerator. Enjoy!